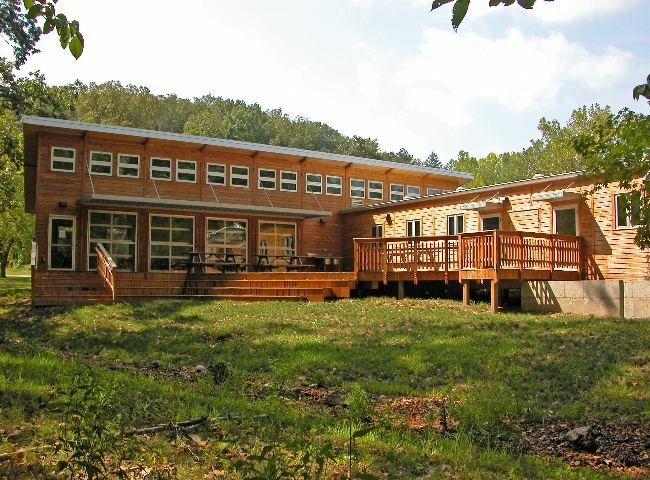 The Omega Center for Sustainable Living, based out of New York City, is an education center focusing on environmental concerns and a natural water reclamation facility. It met the requirements to become certified as book LEED Platinum and Living Building Challenge certified and is now operating under the highest environmental standards in sustainable architecture. 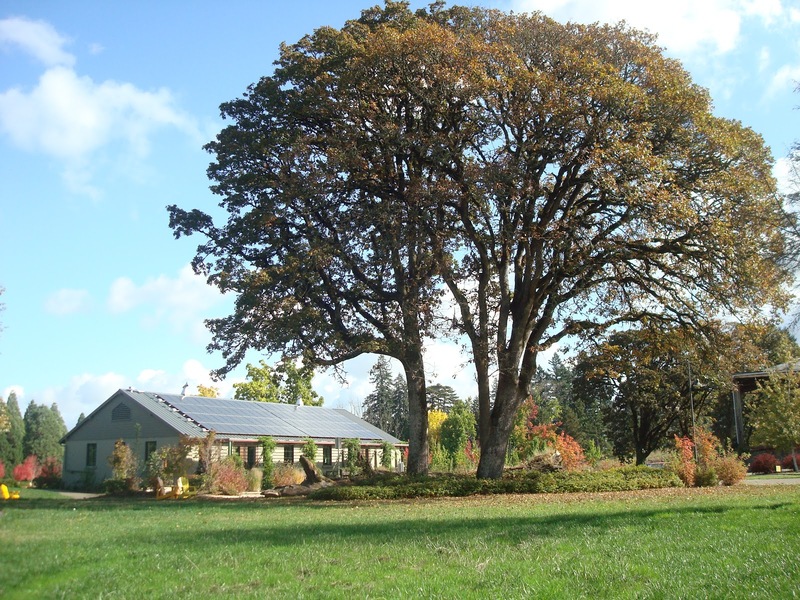 The center provides education on environmental and sustainability issues for students, teachers, activists, contractors, architects, and government officials. The center hosts the Eco Machine, one of the top systems for non-chemically treating wastewater and regularly provides tours for anyone interested to view the machine and the other solar and geothermal systems that make the building run. A part of Washington University, the Tyson Living Learning Center was completed in 2009 as a research and teaching space for the learning center. 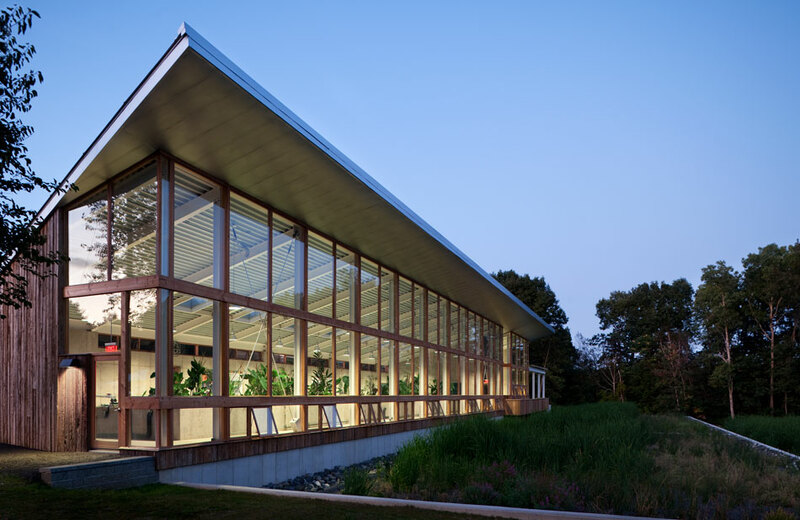 During its creation, the building was designed to meet the standards of the Living Building Challenge specifically. The Tyson Living Learning Center now functions under complete sustainability by creating its own electricity and sourcing its own water. The center offers regular tours so interested parties can learn more about how sustainable buildings are made and see a direct example in person. Virtual tours are also offered through the center’s website. The first project to achieve Net-Zero Energy Building Certification and Petal Recognition by the Living Building Challenge, Pringle Creek’s LEED Platinum Painters Hall Community Center has become the heart and hub of this truly innovative community. Designed by Opsis Architecture, it offers office and conference spaces for Pringle Creek Staff, but also the facilities for hosting events and classes. Providing a forum for sustainability education is a primary function of the Community Center and to create a building that could embody these principles of sustainability, the project team employed a high efficiency, yet simple systems. Painters Hall is frequently used a living laboratory and classroom for students from the University of Oregon and Portland State University. The photograph above was taken during a creek restoration project undertaken by local middle school students. For all of the activities and classes that take place at Pringle Creek, the Community Center acts as the home base and gathering space. The seeds for the Oregon Sustainability Center began in 2007, when a group of sustainable nonprofits came together to plan a sustainable office space in Portland. They decided to build the center to reach the goals laid out by the Living Building Challenge. In 2008, the Oregon University System decided to partner with the group to create a space that could be used for research on sustainability. 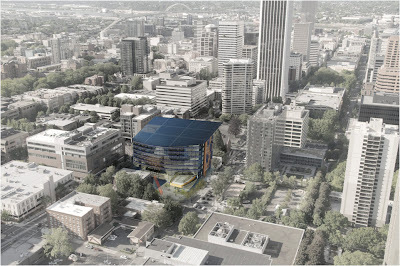 Upon learning that the city of Portland, itself, was also in talks about creating a sustainable structure in the city, the municipal, academic and nonprofit organizations came together to plan and construct the final Oregon Sustainability Center, which eventually became the first high-rise, net-zero energy, water, and carbon emissions building in the world. Amanda Watson is well versed business blogger with a keen interest in how people earn their mba online. She believes that web entrepreneurship, architecture and design is critical to success in business. She can be reached at watsonamada.48@gmail.com. The design of picture number 2 is great. It’s very simple, clean looking and sleek. I bet the general contractors mineolany has this kind of layout construction. I love it! Thanks for sharing this article. Using a construction hoist for the first two pictures is not necessary anymore, though, the third picture I think needs one. The use of this material hoist is important for the faster transportation during construction. These great infrastructures are actually made by the best engineering jobs. It requires a lot of studies and reviews before having it into where they are now. I think they'll need hoists no matter how tall the building is... I like the design of the |Omega Center for Sustainable Living building. What kind of hoist? My uncle once worked on a short building, and they used a brick hoist just for transporting those materials. It's not necessarily for workers. They would probably use electric lift tables instead, since the structure is just short. It's worth finding out. Building up a house undergoes a lot of process; planning up to implementing the design needs a lot of work. To build architectural designs like this requires budget for the equipment and caterpillar track loaders to be used in the construction sites.. 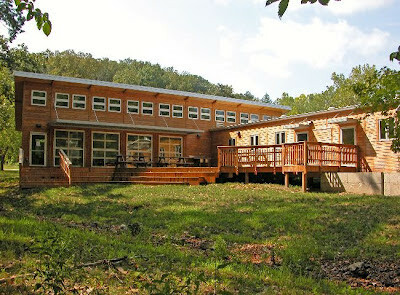 The contractors did an impressive job, specially on the Omega Center for Sustainable Living. Glass structures always look classy and close to nature. Each and every interior in those perspective houses are just simply amazing. They matches their surroundings perfectly especially the glass-inspired house.